Vancouver, BC, March 19, 2018 – DoubleTree by HiltonTM Hotel and Conference Centre Regina has been awarded the Employer of Choice designation for 2018 by Tourism Saskatchewan. This award is presented to businesses achieving the highest standards in human resources practice. The hotel was also recently awarded a CARE Cup for the second period of 2017 which recognizes hotels that “Create A Rewarding Experience” (CARE) for guests, fellow team members and for the communities in which they serve. The Employer of Choice award recognizes organizations who have played a part in raising the bar on human resource practice within the tourism sector in Saskatchewan. DoubleTree by HiltonTM Hotel and Conference Centre Regina will be formally recognized at Tourism Saskatchewan’s 2018 Tourism Workplace Leadership Conference and Professional Recognition Dinner to be held in Regina on June 13th, 2018. 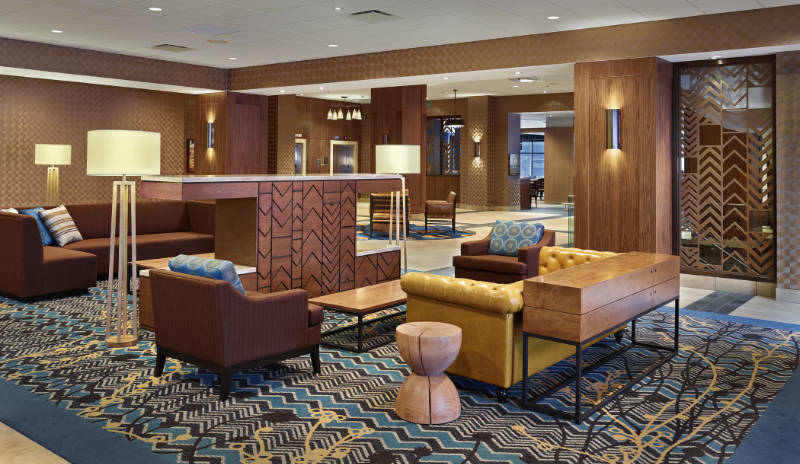 DoubleTree by Hilton™ Hotel and Conference Centre Regina is located in downtown Regina, just a 10 minute walk from shops, restaurants and business headquarters. The hotel offers easy access to popular Regina attractions, including concert venues and parks, and the Regina International Airport is only 15 minutes from this modern hotel.